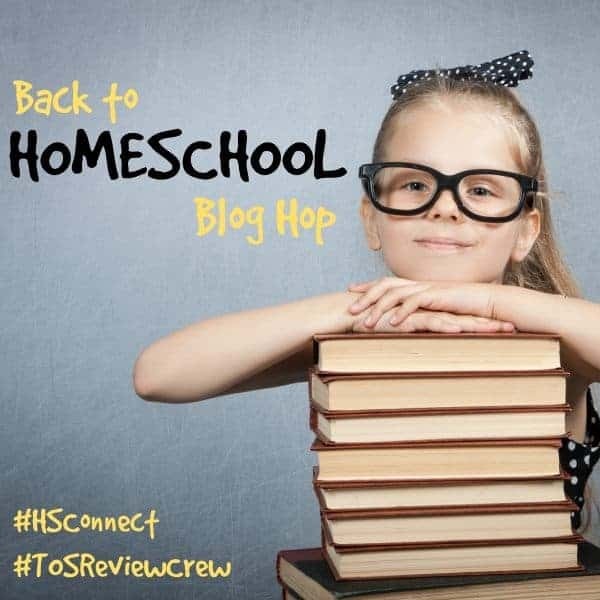 Welcome back to the Back to Homeschool Blog Hop! In case you missed it, yesterday I talked about my reflections on our very first year of homeschooling. 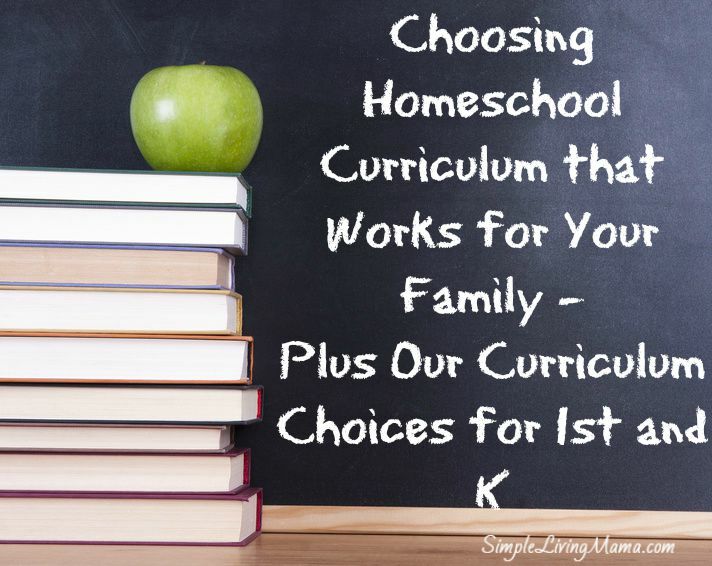 Today I am going to talk to you about my process of choosing homeschool curriculum that will work for my family. 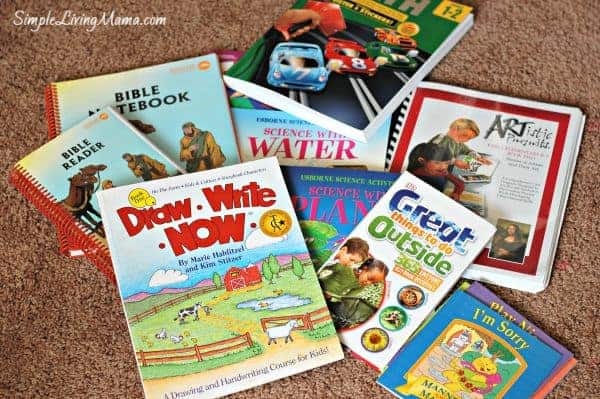 Plus, I’m going to show you our homeschool choices for the 2015-2016 year! Once you decide to homeschool, choosing homeschool curriculum is DAUNTING! There are so many choices out there. My suggestion is to keep it as simple as possible. Research, research, research. Curriculum is not cheap, so you want to make sure you purchase something you truly want to use. Think about the homeschooling method you use. I personally lean toward the Charlotte Mason method, but I’m open to other methods. Do you want an all-in-one boxed curriculum? Do you want to create your own? As a somewhat newer homeschool mom a boxed curriculum appeals to me. I chose My Father’s World because EVERYTHING is laid out. I really have to do very little planning. It comes with a grid that tells me exactly what to do every day. When I find a certain curriculum that I am interested in using, I read homeschool reviews about it. The Schoolhouse Review Crew is an excellent source of curriculum reviews because they are in-depth and often include pictures of children actually using the curriculum. When it is time to purchase curriculum, I do prefer to look for used items because I can often get them cheaper. I have a few Facebook groups where I look for the curriculum I want. Sometimes I end up purchasing new, though. Sometimes you just have to try something to find out for sure whether it will fit your family or not. When I absolutely cannot make something work that I have purchased, I go ahead and re-sell it. Let me show you what we are using this year! We are using My Father’s World 1st grade` for most of my son’s work this year. It’s not all pictured here. Phonics/reading come straight from the teacher’s manual and student sheets. For math we are using the Complete Book of Math, the Pattern Animals book, and everything else suggested by MFW. He will also use Draw Write Now. 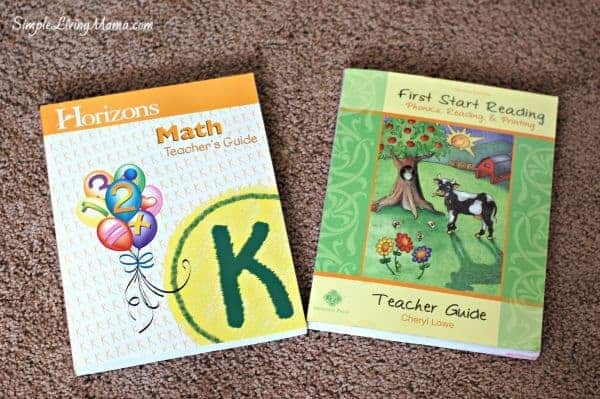 For Sis who is starting Kindergarten, she will be using Horizons for math and First Start Reading for phonics and handwriting. Many subjects will be combined for my 1st grader and kindergartner. Both my K and 1st grader will be using the Bible lessons in MFW 1st. They will also do the history and science that came with the curriculum. We are using We Choose Virtues and some cute little books called Manners Always Matter. I’m pulling read-alouds from the back of the MFW teacher’s manual, Honey for a Child’s Heart, my own family read-aloud list and Charlotte Mason preschool book list. I have a book called Great Things to Do Outside that I will be pulling from for fun outdoor nature activities. We will be doing art and music at our homeschool co-op, but I will pull some projects from ARTistic Pursuits. We are going to read Mother Goose poems, as well as some Robert Louis Stephenson. I like to find extra fun activities for the kids from the Dollar Tree and I’m also starting an Usborne book collection. We like their 1001 Things to Spot series, as well as their sticker books.